The coolest desktop timer on the market has magnetic appeal! 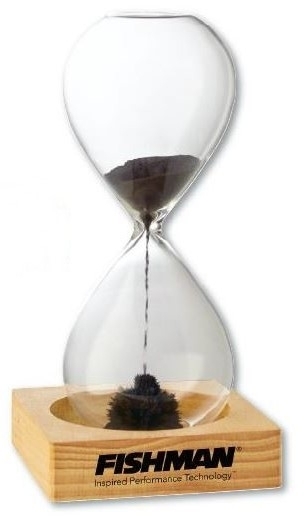 Flip this glass timer and the fine metal filings work their way down to the genuine wood base with magnetic disc, creating a uniquely striking, fuzzy looking shape each time. Each timer is individually packaged in a clear display gift box. 6" tall, including base.